It doesn’t matter whether you’re 30, 50 or 80, lets face it, we all want younger looking skin. I have these conversations with my mom all the time, because she just wants her skin to look like mine, but I’m trying to get mine back to what it was like when I was 20. If only we all believed “it would happen to us” and started anti-aging skincare in our teens like we should have. So if you’re 15 and reading this, just trust me and start wearing sunscreen now. And please, for the love of God, stay out of tanning beds! For the rest of us who’ve already done the damage, here are a few things you can start now to turn back the clock and put your best face forward. 1. 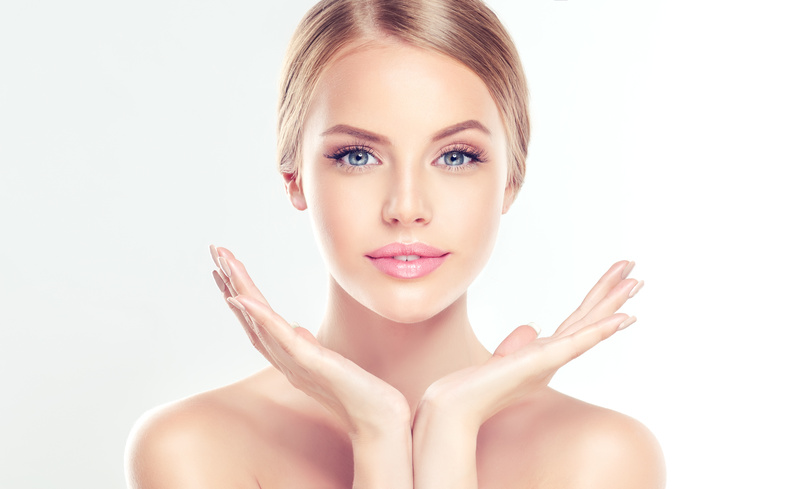 Skin Brightening Facials – Sometimes much of the damage to our skin is right on the surface and a glowing complexion is just a layer or two down waiting to be revealed. As our skin cells regenerate, we don’t slough off all the dead cells, which can lead to skin that looks dry and dull. Even if you’re someone who doesn’t typically have dry skin, exfoliating that top layer can reveal the bright, beautiful new skin below. This is what a peel does and why it works so well to help skin appear younger. Peels can range in intensity from a light peel as part of a relaxing facial to a deeper peel which removes years of damage from your skin. 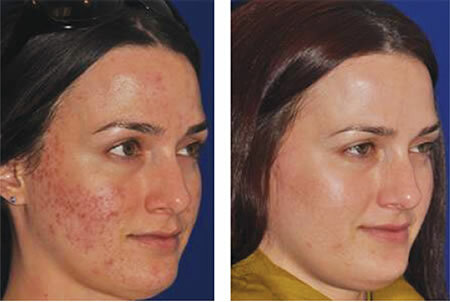 A light peel may have very little “tingle” and no recovery time but still leave you with immediate brightening results. A more intense chemical peel, often only available from a medical provider, will have more downtime but the result can be dramatic improvement in the overall tone of your skin. 2. A Great Home Skincare Regimen – I never understand why people spend money to go to a spa and get a facial and then don’t use any of the products at home. That’s like going to the gym one time and saying, “This will be great! I’m going to lose 10 pounds!” and then sitting on the couch eating fast food for the rest of the month. It just doesn’t work that way. 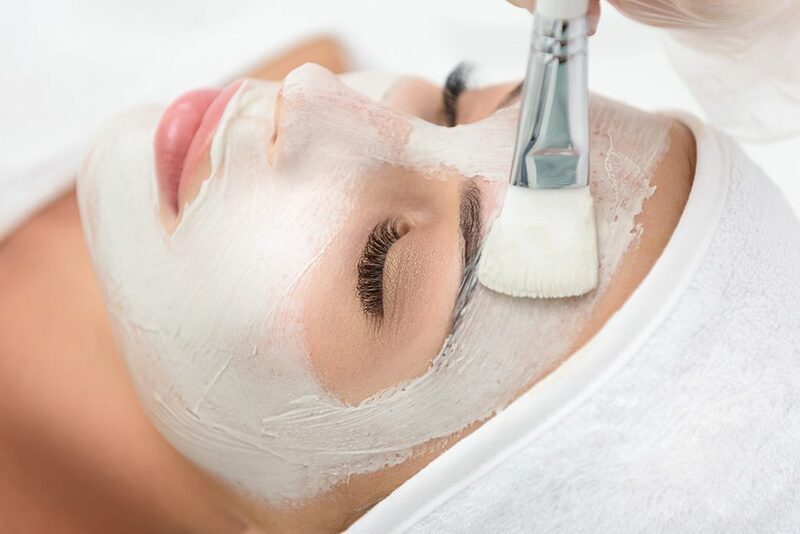 A facial is a great way to relax, learn how to take care of your skin and get a little deeper cleanse and exfoliation, but if you don’t take great care of your skin at home, the results absolutely will not last. Your at-home skincare regimen should include a cleanser that’s appropriate for your skin type, serums to address your skin concerns, moisturizer (even if you have oily skin!) and sunscreen. When you get a facial, take the opportunity to ask your esthetician about everything she’s using on your skin. Trust that she’s the expert and can make recommendations that will extend the results of your service and keep your skin looking young and beautiful day in and day out. 3. Micro-needling – This is one of those services that few people get but it is literally for EVERYONE! Micro-needling is a service in which your esthetician uses a specialized device with very fine needles to create micro-injuries on your skin. These micro-injuries communicate to your skin that it needs to repair itself. The process by which skin repairs itself is collagen production. I think its safe to assume we all know that collagen is a good thing. The loss of collagen is one of the main causes of wrinkles and sagging. What’s so great about micro-needling however, is it doesn’t just treat wrinkles. Because it tells your skin to naturally heal itself, it treats everything from scarring, to acne, to pigmentation. You can even use micro-needling on other areas of your body to treat stretch marks and traumatic scarring. Once you decide on micro-needling you should commit to a minimum of three treatments per area with about a month between each treatment. Also, like a chemical peel, expect some downtime. For a few days you may have some redness, swelling or sensitive skin. And because it requires cellular growth, the results are not instant, but they are well worth it! 4. 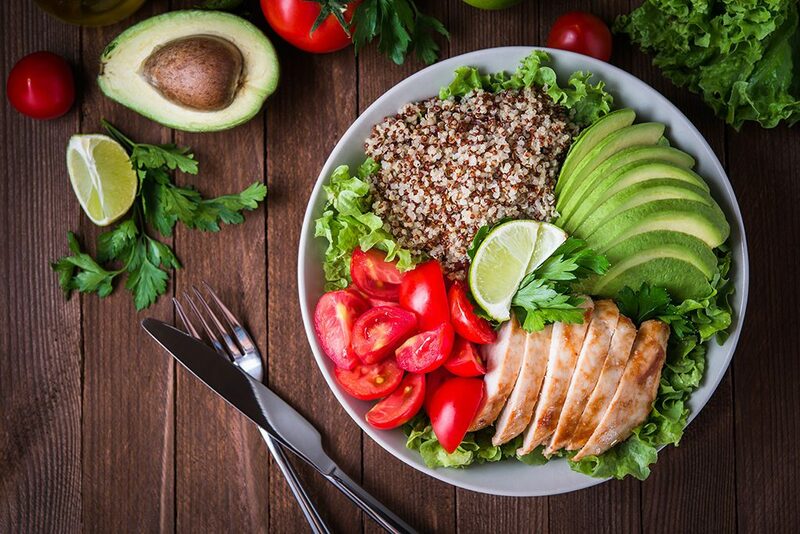 A Healthy Diet – By the time you’re reading this I’m sure there will already be a new fad diet that everyone’s trying…Atkins, South Beach, Weight Watchers, Gluten Free, Keto, the blood type diet…decide what you feel like eating and there’s probably a diet to match it. At the end of the day, as far as your skin’s concerned, if you want beautiful healthy cells you need to give them beautiful healthy fuel. I personally believe you should be able to treat yourself from time to time because food should be fun, but I also know that what I put into my body shows on the outside, and I don’t just mean on my hips. Drink plenty of water to hydrate from the inside. Avoid sugar and processed foods, and fi your body with nourishing, cleansing fruits and vegetables and you will absolutely see the difference on your face. Think about it this way, we tell our kids they need to eat healthy to grow big and strong. Well, our skin may not be “growing” still, but it is regenerating…give it the healthy fuel it needs to be at its best. Any one of these on their own will absolutely get you closer to the skin you want, but the more you do to take care of your skin, the younger it will look. 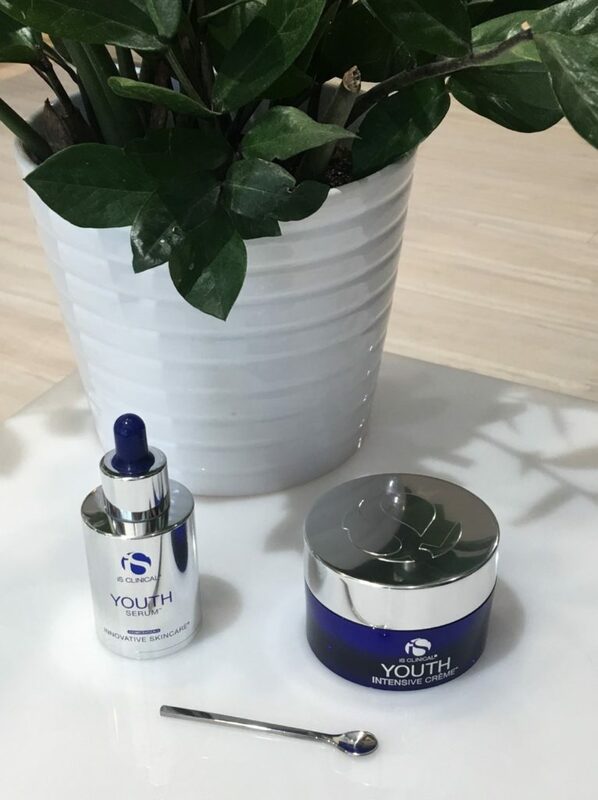 Take care of it from the inside and the outside, consult an expert and take the time to give it the attention it needs and you’ll be looking as young as you feel in no time!